Camping is one of my favorite activities, and a wonderful lifestyle. But living in such close quarters can also bring some not-so-pleasant smells to your RV. Thankfully, I’m here to share some great tips on how to rid your RV of musty smells. Before you can eliminate the odors, you might have to figure out where they are coming from. There are some areas which can cause trouble that might surprise you. Read on for some tips on where to look, and 10 easy ways to make those musty smells disappear. 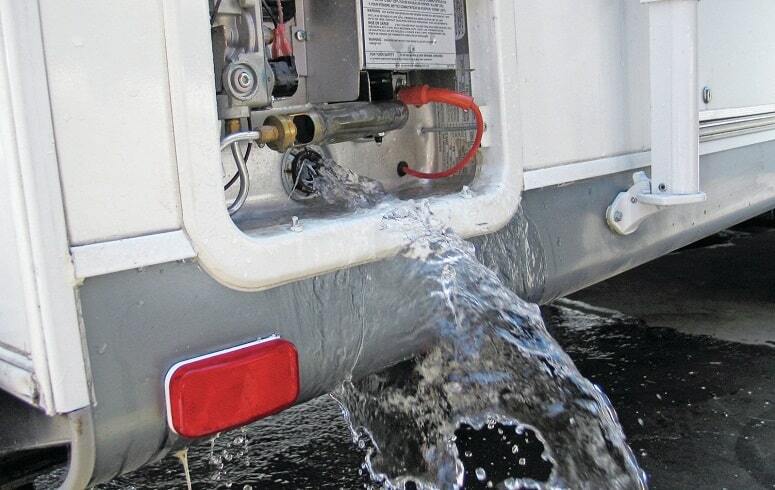 Water tanks are among the most common causes of bad smells in an RV. They need regular attention in order to make sure that your home-from-home doesn’t become unpleasantly smelly. Most RVs have three water tanks, all of which require regular cleaning. Even fresh water can develop bad odors. Leaving water in this tank for too long can turn the fresh water into stagnant water. This might create a musty scent that can make its way into your RV through a faucet or shower. Take care not to leave water in the fresh water tank for too long before using or replacing. The gray tank holds all “clean” waste water; this could be from the shower or a sink. Not all RV’s have one of these. If yours does have this tank, be sure to carry out proper maintenance. Not maintaining this tank could result in bad odors coming back up the drain. If it’s not emptied, you could also see some of the old water gushing back up from the drains. The rule of thumb is to empty the tank when it’s 3/4 full. Every time you empty it you should also clean it, to avoid the buildup of unpleasant odors. The black tank is what holds all dirty water. Everything that gets washed down the toilet will end up here. If your camper doesn’t have a gray tank, then all waste water will go into the black one. This can cause some serious trouble if left full, or not cleaned regularly. Always keep the valve closed and make sure there’s a little water in it, to prevent waste from sticking. When a refrigerator is not cleaned often or is left unused, it can develop bad musty smells. 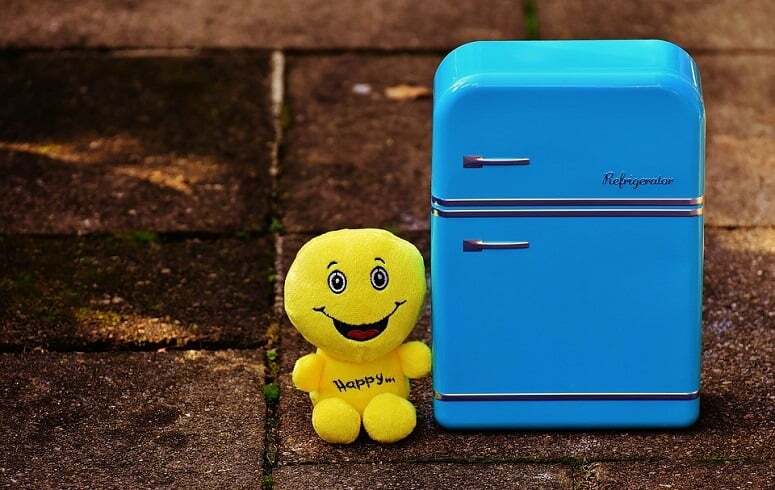 Unless you live full-time in your RV, the fridge can go unused for long periods. In this case, the bad odors are more likely to be a problem. Throw out any foods that are going bad, or that you no longer want. Once your trip is over, be sure to empty the refrigerator completely and clean it thoroughly before closing up your RV. Always leave the fridge door open when the unit is not connected. You don’t want to use harsh chemicals in the place you store your food. Luckily, there are several ways to eliminate bad odors, with ingredients you probably already have in your home or RV. Baking soda or white vinegar can usually do the trick. Make a paste using baking soda and water, then rub it over the fridge’s interior. Rinse or wipe once done. You can add a small amount of vanilla to the baking soda. This will get even the toughest scent out. Remember to throw away the mixture once done. Baking soda can also be used to soak up all smells that survived the cleaning. Leave a small container with baking soda on a shelf, to eliminate lingering odors. You can also try cleaning the fridge with a mixture of half vinegar and half water. If there are stains that are causing trouble, let the solution sit for a moment. Just like in the home, the bathroom is a place where moisture easily builds up. It could be from the shower, or even dirty clothes left on the floor. Keeping the bathroom clean and dry can prevent musty smells developing. Cleaning a sink or bath does sometimes require a lot of scrubbing. You can make the job a little easier by mixing half ACV and half water in a spray bottle. Use the mixture after a shower or any time you see a dirty surface. Blocked drains are notorious for creating bad smells. 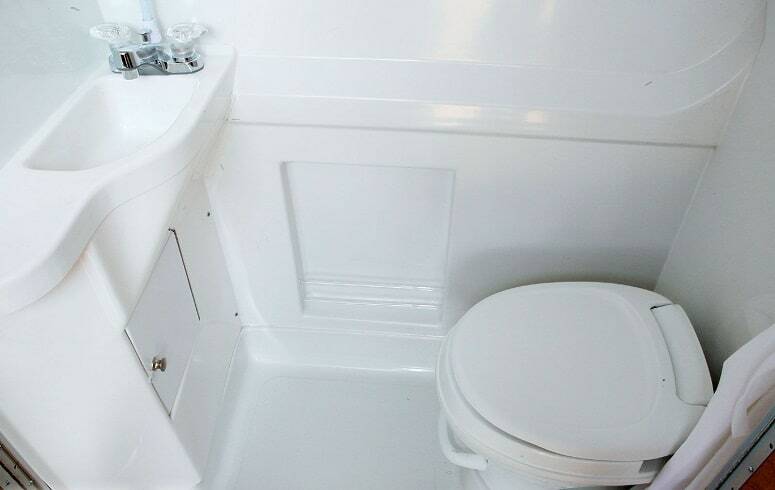 This is especially true in an RV, where the waste tank is much closer to the bathroom. Baking soda and vinegar are two natural ingredients that will unclog a drain in minutes. Pour two tablespoons of baking soda into the drain. Then flush it with a cup of white vinegar and watch the bubbling reaction. Finish it off with a kettle of hot water. If you are traveling across the country with your family, there’s likely to be lots of laundry. This can easily create a very smelly problem. Piles of dirty laundry can become moist very quickly, leaving behind a musty trail. Keeping your unwashed clothes in laundry baskets with air holes can prevent the moisture and smell from building up. Doing laundry is never fun, but it’s a must. Make time for washing your clothes at as many rest stops or campsites as possible. Even clean clothes can retain musty odors if they’ve been stored too long before washing. You can make a solution of water and white vinegar to spritz on the clothes when washing. The vinegar will get rid of any bad smell. Any worn clothes that don’t need immediate washing should be hung up to air out. This is much more effective than just throwing clothes in a pile on the bed, floor or in the closet. 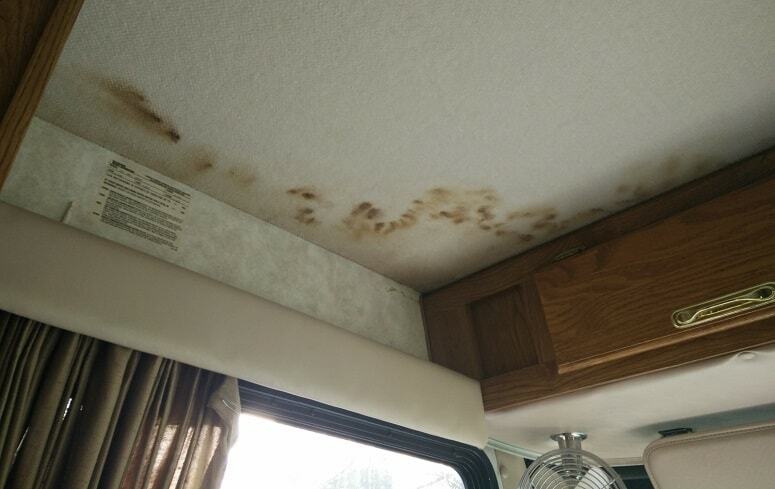 RVs are susceptible to the build-up of mold. Any time you combine moisture with a warm, enclosed environment, you run this risk. It might not be immediately visible, but soon enough you will notice the smell. Use a homemade dehumidifier to keep mold away—they are surprisingly easy to make. Here are a couple that will work well in an RV. Have you ever noticed those small packets that are often found in new shoe boxes or suitcases? These are filled with silica gel, which is a great way to absorb moisture. It’s easy to use this to pull moisture from the air in your RV and help prevent mold from growing. You can find silica gel [earnist_link ref=”hydrosorbent-450-gram-silica-g” id=”1002067″]easily on Amazon[/earnist_link]. Puncture several holes in the lid of a small jar. Fill the jar with silica gel and close the lid tightly. Place it anywhere you find moisture, such as underneath a sink or in a cabinet. Calcium chloride is another very effective dehumidifier. All you need is the calcium chloride, a lycra sock, medium-sized bowl, and string. Fill the stocking with the calcium chloride: how much depends on the size of the sock. Close it tightly by making a knot. Use the string to hang the sock and place the bowl underneath to collect any dripping water. You might already have mold growing in your RV, in which case the tips to prevent it could be too late. There are a number of ingredients that will work very effectively, and you may already have them in your RV. Tea tree oil is also effective in getting rid of mold, in addition to other benefits. To make the mold-cleanser, grab a spray bottle and fill it with water. Then add one or two teaspoons of tea tree oil. Spray the affected area and let the mixture sit. The oil has a strong scent, but it will disappear within a day or two. To make your mixture more effective, use half water and half apple cider vinegar with the oil. Can the item that has the mold be easily moved? If so, take it outside and leave it in the sun for an hour after cleaning. Lots of things can cause your RV to smell bad. So the more often you air it out, the less chance for these smells to linger. Pungent smells don’t just linger in the air. They can cling onto items in the RV and leave a stinky trail. This includes furnishings, clothing or curtains. That’s why it is essential to air out any smells as they occur. Did you make a delicious curry for dinner? Has someone in the RV been passing gas? Whatever the sources of the smell, take advantage of the RV’s ceiling vent. After all, it’s there to help keep the air fresh. You can also buy an air freshener. Whether you’re traveling alone or with your whole family, the garbage can pile up. If the driving gets bumpy, an overfilled trash can will easily spill. Therefore, it’s important to remove your garbage as often as possible, and certainly before any journeys. In order to prevent smelly garbage, be sure to dispose of food that’s gone bad. This will also help to ensure that it doesn’t attract unwanted critters and insects. I’m sure you don’t want your camper to become a cockroach home! If you are using recreational campsites, most of these will have facilities for garbage. Many will require that you separate your trash, to make sure that recyclable items don’t get put with actual garbage. If you aren’t staying at an official campground, the trash situation can be more difficult. You need to get it out of your RV, but where should you leave it? Check online for local garbage dumps or waste management facilities. We’ve already mentioned above that excess moisture can be a big source of damp musty odors. In addition to a dehumidifier, you need to check for any sources of unwanted water. Leaking pipes can happen, even in a mobile home. And where there’s a leak, there’s generally a musty smell, and maybe even mildew. Check underneath the kitchen and bathroom sinks, and around the toilet. Do you see water on the floor near these items? This is a sure sign that something is leaking. And it’s not just a matter of catching the dripping water with a bucket. You’ll need to repair the leak. If you’re on the road, you probably don’t have the luxury of calling your plumber. Not to worry—leaky pipes are actually pretty easy to fix yourself. A trip to the hardware store should at least give you a temporary solution. Here are some preventative measures you can take to stop leaks from developing in the first place. Your mattress is another place where smells can develop. This might not be the first thing that comes to mind when there’s an odd odor. However, a mattress can quickly become a stinky place. After a long day of hiking, we might throw our feet up on the mattress for 10 minutes of rest. What we’re really doing here is inviting dirt and bacteria into the place we sleep. Additionally, mattresses often double as seating areas during the day in an RV. In addition to getting rid of unwanted smells, cleaning the RV mattress regularly will prevent unwelcome guests from also making it home. Wash the bedding as often as you can. And while they are being washed or hanging to dry, use this time to air out and clean your mattress. Do you keep a small handheld vacuum in your RV? Vacuuming your mattress regularly, in addition to a gentle sprinkle of baking soda, can help keep it clean and odor-free. At the end of the day, your RV is your little haven when you’re on vacation. Musty smells can ruin that very quickly. The tips I’ve provided here should do a great job at keeping unwanted odors at bay. Stop mold from growing, or get rid of it when it does. To keep moisture from building up, consider trying one of our DIY dehumidifiers. My personal favorite is the silica gel jar, since you can easily place it anywhere. Do you suffer from unwanted odors in your RV? Have you tried any of our tricks or have other tips to share? Add your comments below. We would love to hear your experience.